Trisha and Addi: I am seriously the worst blogger ever! I am seriously the worst blogger ever! As most of you know I work at a local gym here in Arizona and sometimes I take Addison with me when I coach the little kids in the mornings. While Addi was jumping on the tramp perfecting her donkey kicks, she fell and put her arms back to catch herself. 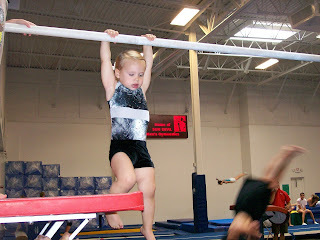 Well if you know anything about gymnastics you know you never put your arms back when you fall. 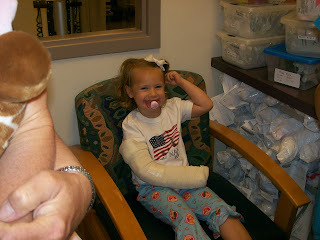 Well she ended up breaking her arm right at her elbow. It was so bad that she ended up needing surgery on it. 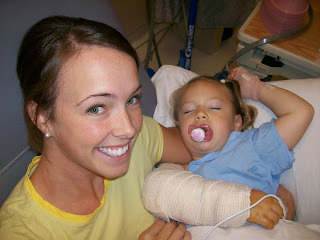 We had to be at the hospital at 5am the morning of surgery, but Addi did not seem tired at all. It was all kind of exciting for her. 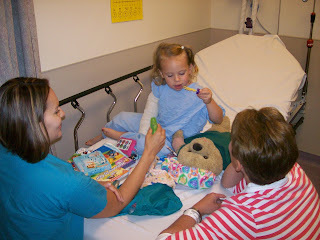 They brought this bear in that they let her play with and showed her how the mask was going to go on her face. They let her decorate it with stickers, than they let her pick out the flavor that she would smell when they would put her under. They were so good with her. The surgery went well. They were able to put the bone back in place by putting 3 pins in to hold it in place. 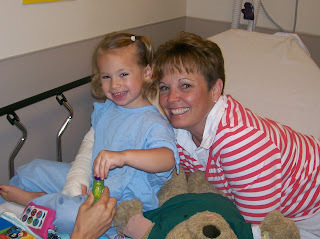 The first thing she said when she woke up was how fun it was when they pushed the bed really fast down the hall into the OR. She is too funny! 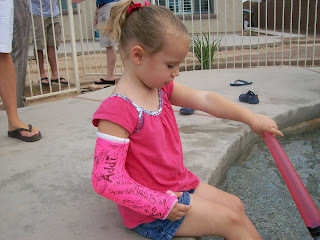 A week later she was able to go back to the doctors and pick out what color cast she wanted, and of course she picks the brightest, neon pink. But she loved it! She was such a good sport about it for the 5 weeks that she had it on. She would just sit on the side of the pool and watch her cousins play and never once did she complain. 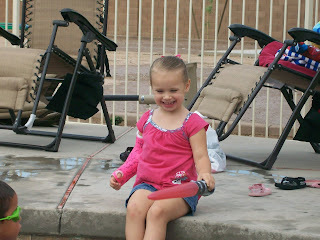 Once she got her cast off she was swimming like a pro again. Well thats the last 6 months in a nut shell. Lets see if I can keep this blog updated now. Sis way to blog! I do love my Addi pie. Keep up the good blogging. I can't believe how big Addi is. And Trisha you look great.I hope you guys are doing well. We really have to get together sometime. I miss ya. Hey Tricia! It's Lindsey Whelan (Hughlett now)... So good to see how y'all are doing. I cannot believe how big Addi is! I remember you waddling around 24-hour when you were pregnant with her! You're both beautiful! I hope everything is going well!! I was so confused at first as to why you dedicated it to me and then I remembered that I had talked with Bro. Miller! You are so funny! I love how I am telling you how you are a blog slacker when I am one myself. Addi is so big. I just can't believe it. She is so cute! 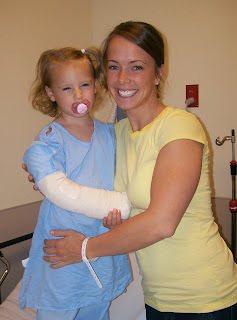 I can't believe she broke her arm that bad. What a tough little girl. Just like her mom. Do you ever visit Utah? If you ever do, I want to know just in case I am there. Then we could get together! I am so glad to hear that things are going well. It's about time you got blogging again! :) Poor Addie! That is SO sad! I'm glad she was such a good sport about it. It reminds of YOUR elbow injury...ugghh :) Hope your doing good! Let's get together soon! Well hello stranger. I just ran into you via your sisters facebook account. How are you? Where are you? You're little girl is so cute. I have one that is 3 as well and truly keeps me on my toes. Hope all is going well. I'm glad you can still keep up with gymnastics in one form or another. :) Love ya! Trishy, it's time for another post...at least some pictures! 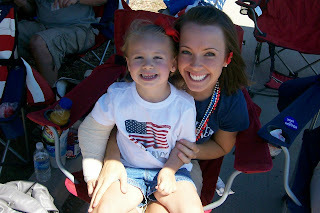 It's not fair to deny your blog-readers pictures of two pretty girls! Love you! Can't wait to see you. P.S. Call me and tell me when you update. I don't check blogs too often. Today is officially blog day for me.